I enjoy baking for a three main reasons: to decorate, to share, and to have an excuse to eat dessert. Oh and to eat the batter, who am I kidding. I usually stick to cupcakes so I can knock out all three but today was I feeling lazy and selfish. 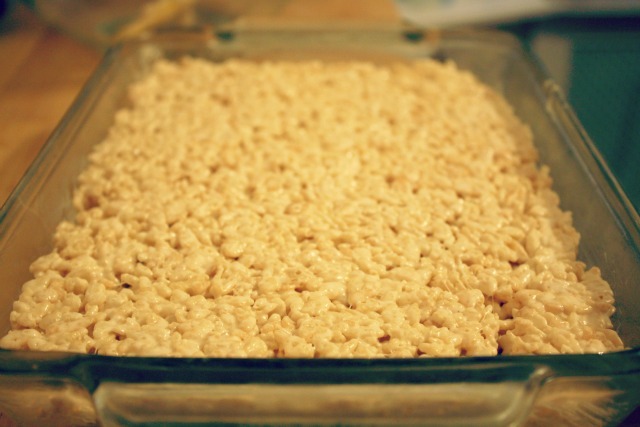 I wanted a small mess and almost instant gratification dessert. 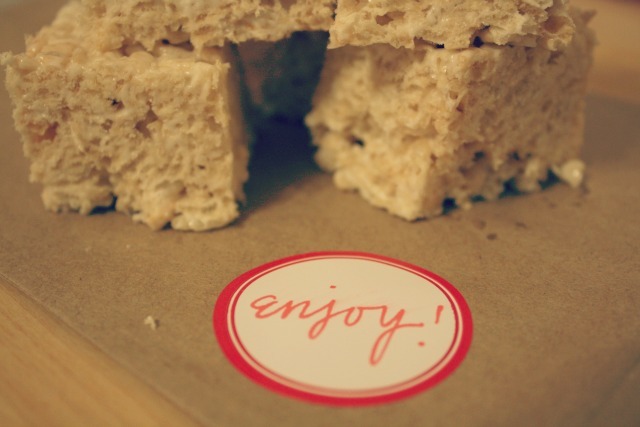 Enter: rice crispy treats. 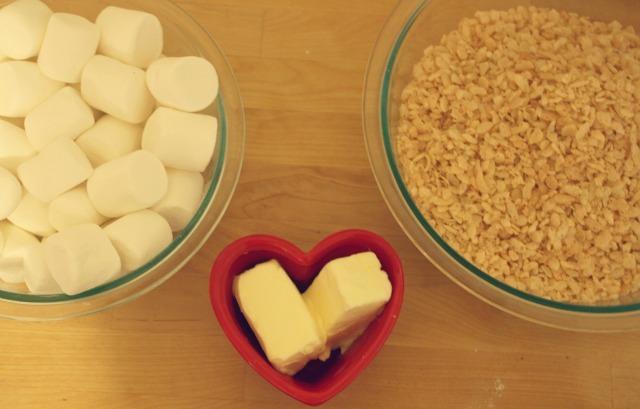 I followed this recipe calling for brown butter and a pinch of sea salt to feel like a fancy dessert adult but enjoyed them like a 4th grader after a bake sale.